At age 30, Darren Clayton had a lot going for him. He’d completed his military service, was eight years into a successful career, had a six-year-old son who was the apple of his eye and had the motorcycle of his dreams. And then his whole world turned upside down. On November 2, 2014, Darren drove himself to the emergency room with intense pain in his lower back and the bizarre sensation of ants crawling under his skin between his waist and neck. In mid-October, he’d been diagnosed and treated for a bacterial infection that left him with flu-like symptoms, but he seemed to be on the up-and-up. Not so. Within hours of checking in to the ER, he lost all feeling from his waist down. Unbeknownst to Darren and the (dismissive) medical professionals who surrounded him that night or the (stumped) specialists he’d be surrounded by in the following days, he had developed Acute Disseminated Encephalomyelitis. Commonly referred to as ADEM, Acute Disseminated Encephalomyelitis is a rare auto-immune disease that manifests with a sudden and intense attack of inflammation in the brain and spinal cord. Darren’s case was the most extreme the team of doctors, nurses and neurologists had seen. They waged a counterattack on the disease and five days later Darren was able to move the big toe on his left foot. On day thirteen, Darren began an aggressive rehabilitation regimen. He was told that his chances of walking again were slim – optimistically, 33% and that he should prepare for life in a wheelchair. This prognosis was just what he needed to hear in order to send him into overdrive. He declared that they were wrong and vowed to prove it. Between his rigorous twice daily therapy sessions, he steadfastly continued the prescribed exercises by himself in his room. Every day felt like a marathon. It was the hardest thing he’d ever faced; a challenge far and away more difficult than military basic training. It was mentally, physically and emotionally grueling. But it paid off. Before being discharged, he was able to walk about 200 feet unassisted. It was the happiest day of his life. After two weeks in in-patient therapy, Darren went home. During the month-long ordeal, he’d lost 20 pounds and his muscles had severely atrophied. He immediately engaged a personal trainer and got to work. Before his illness, he could push 100-pound dumbells with each arm across the gym floor; now, his max was 10 pounds. Baby steps: one foot in front of the other. He was starting over but, against all odds, he was walking. 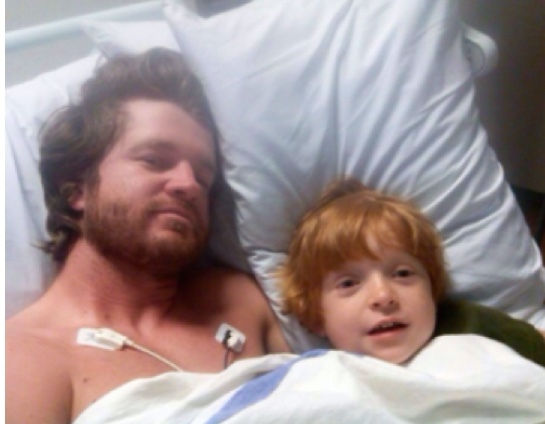 Darren’s motivation was his best friend, his son Travis, and his rock was his Christian faith. Every accomplishment Darren achieved was met with praise, admiration, and pride from Travis. Darren is highly self-motivated and determined – always has been – but there was no greater inspiration to get stronger and to overcome his adversity than Travis. Being a good Dad is what he strives for above anything else. 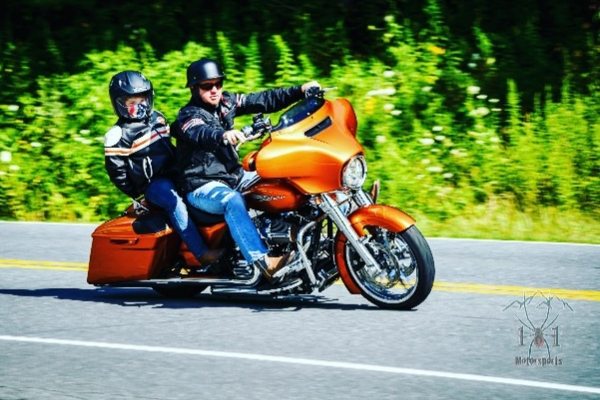 Six or so months after becoming paralyzed, Darren climbed back on his Harley. Mentally, he was ready; physically, not yet. His feet weren’t strong enough to shift gears. It was heartbreaking, and it was supremely motivating. Before long, he was able to confidently ride. Never had the open road felt so liberating and exhilarating. When Darren reflects on his experience of ADEM and the long-term effects of the disease that he will endure for the rest of his life, he is grateful. He says it is the best thing that has ever happened to him. Before ADEM, he took some things for granted and – having had the opportunity to see how good he had it – he’ll never make that mistake again. It showed him where he needed to grow, how much he could handle, and who would be by his side through thick and thin. Darren was always a positive and humble person, but paralysis multiplied his appreciation for these attributes exponentially. For whatever reason this happened, he’s good with it. So many with ADEM never walk again because, Darren supposes, it’s debilitating in every way. Without the tenacity to push through the mental turmoil and emotional strife, it’s impossible to regain physical ability. He believes that it was his sheer will and fortitude in tandem with God’s grace and power that he was able to not only come through the other side of ADEM but to do so with gratitude. Sure, he’s always in pain – his muscles seize up when it’s cold and he walks with a limp from time to time – and, so what? Everyone is working through something. If we have one life to live: let’s do the dag-on thing. Obvious by now is that Darren follows through. He does what he says he will do … which means he does what some people consider crazy. Case in point: skydiving. 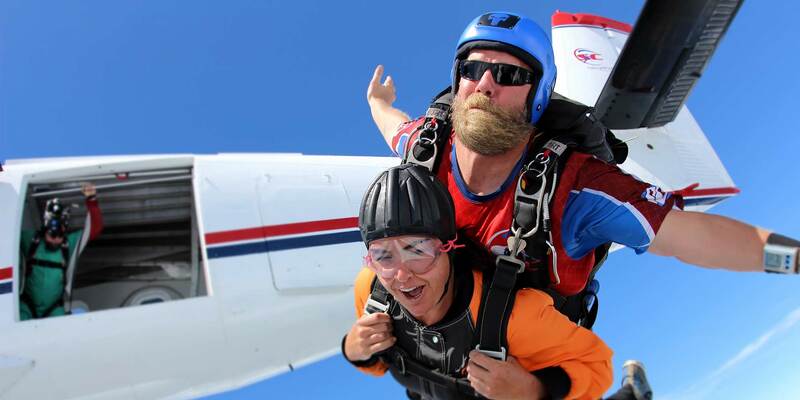 Darren skydived for the first time years before becoming paralyzed and, after saying he’d like to try it again, did three tandems at three different dropzones this Summer alone. 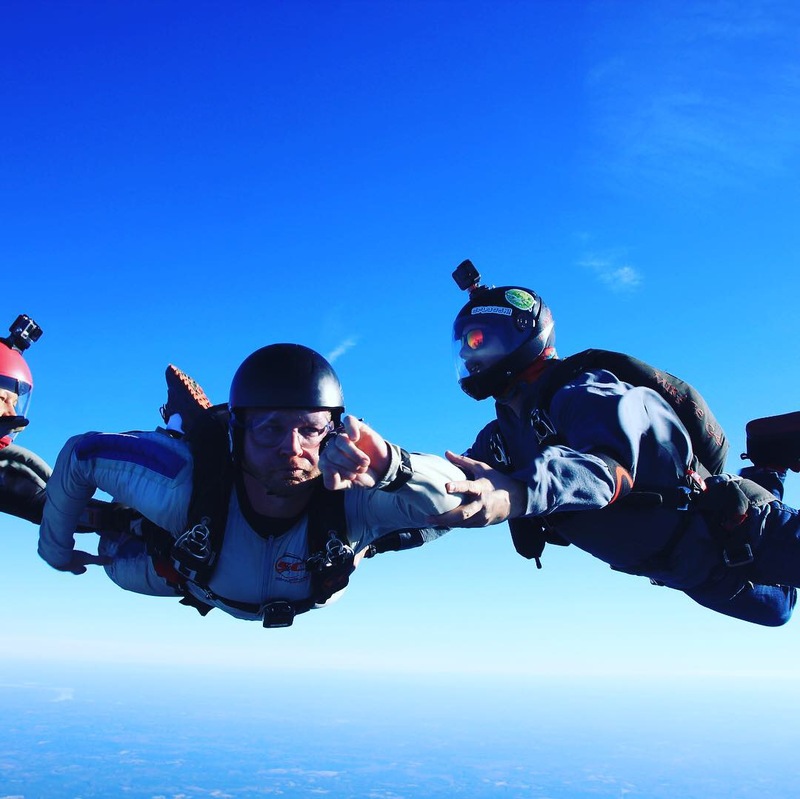 He learned from a seasoned skydiver that the “real magic” comes with skydiving solo and decided to pursue his skydiving A license. No surprise, Darren’s part-way through his AFP course at Skydive Carolina, which is how he is learning to skydive on his own. While he has fallen in love with the sport, Darren admits that he’s experienced anxiety during every jump. Is that reason to quit? Heck no. To Darren, fear is healthy and overcoming it is empowering beyond compare. Letting fear dictate your life will leave you regretful and unfulfilled in the end. Darren’s second chance has no space for limitation, intimidation, and defeat. If we play a role in manifesting our own destiny, then think big, bold, positive thoughts and smile until your face hurts every single day. 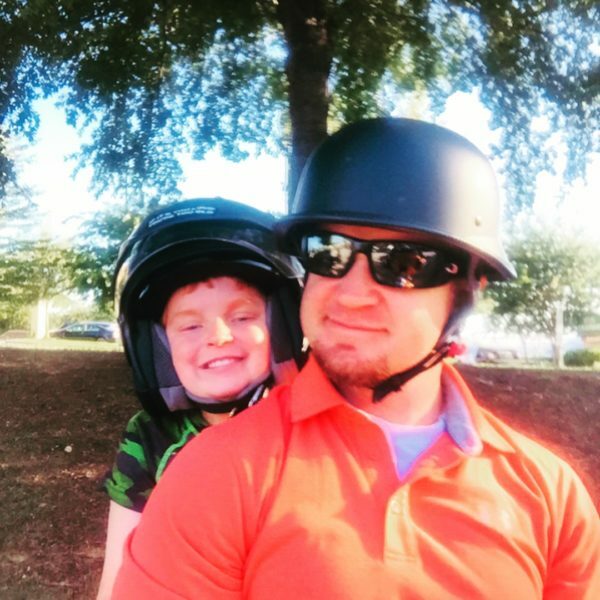 When Darren looks to his future in skydiving, he sees himself earning multiple licenses – perhaps even his tandem instructor certification so that he can take Travis on his first tandem on his 18th. Or maybe, by then, he’ll have his pilot’s license and he and Travis can fly together. At age 10, Travis is not so sure. He’s been to the DZ to watch his Dad jump tandem, and he will soon come again to witness one of Darren’s upcoming solo jumps. As has always been the case, he can’t directly relate to what his Dad is working toward but he has his back 100%. With the big ideas Darren cooks up, only one thing’s certain … Darren and Travis’ future is bright and most definitely interesting. 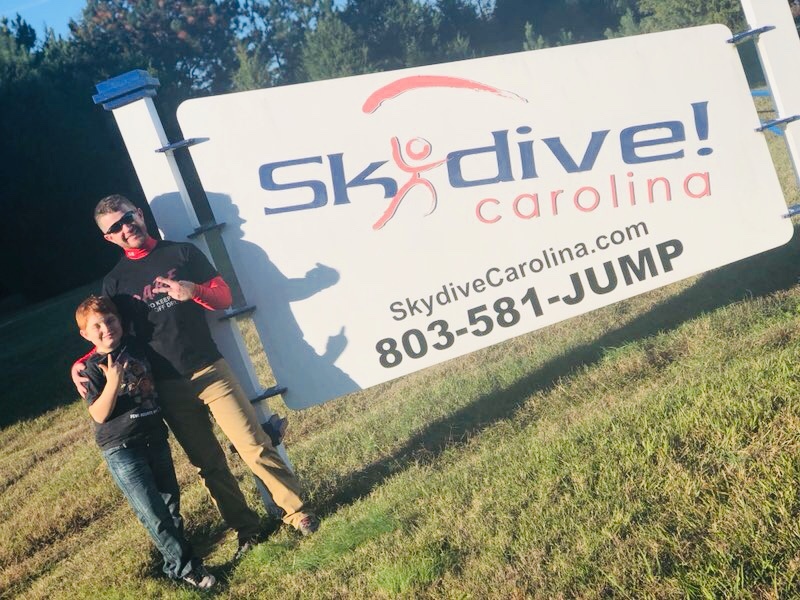 The Skydive Carolina team is thrilled to have Darren and Travis as members of the Skydive Carolina family. We look forward to supporting this next chapter in your journey.